Chasing 251, Australia were 240 for eight when India's Shankar got rid of dangerous Marcus Stoinins (52) in the very first ball of the 50th over and castled Adam Zampa in the third ball to trigger celebrations in the Indian camp. 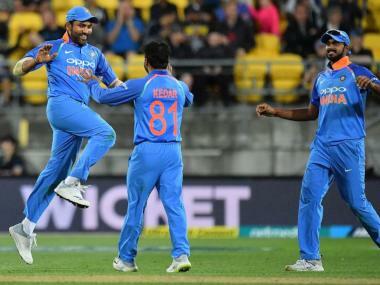 Nagpur: Indian bowlers delivered in a heart-stopping climax to fashion a narrow eight-run victory against Australia in the second ODI after skipper Virat Kohli conjured up a resolute hundred in testing conditions on Tuesday. 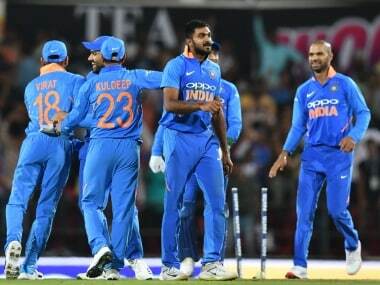 Before that, pacer Jasprit Bumrah (2/19), who is ever-reliable in death overs, dismissed Nathan Coulter-Nile and Pat Cummins in space of three balls in the 46th over and conceded just one run in the 48th over, playing a crucial role in India's win after the spinners had choked the Australians in the middle overs. Kohli's 40th ODI century steered India to a competitive 250 after a middle-order collapse on a dry surface at the VCA stadium but it proved to be just enough in the end as India earned the win with just three balls to spare. Stoinis and Carey took the Aussie chase deep with their dogged batting but Kuldeep turned the tide in India's favour by dismissing the latter. 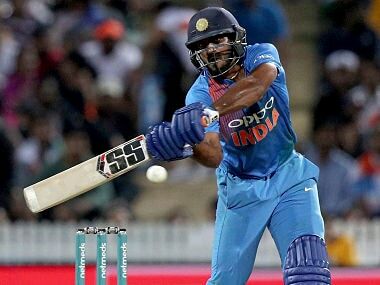 Kohli got a good ally in Vijay Shankar (46 off 41) with whom he added 81 runs for the fourth wicket but the latter was unfortunately run out when he backed up too far at the non-striker's end to a Kohli straight drive. 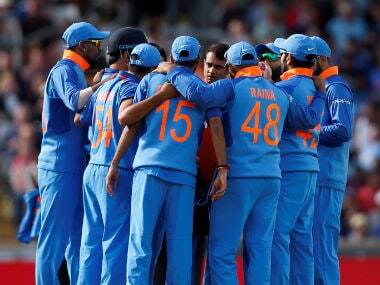 Kuldeep Yadav and Jasprit Bumrah too perished in a jiffy and India could not even bat for full 50 overs.